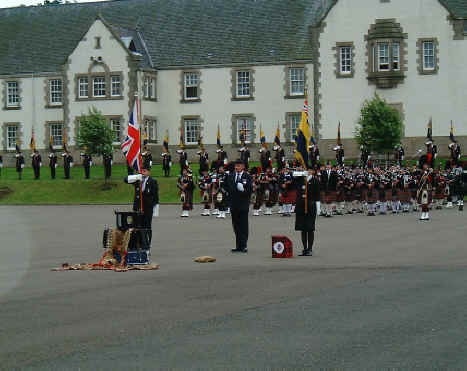 The Wick Royal British Legion Scotland Pipe Band took part in the Drumhead Service at Dreghorn Barracks. At this service the Royal British Legion Scotland received their new Queens Colours and there was a rededication of the national colour. Pipe Major R Coghill of the WRBLS Pipe Band was the Leading Pipe Major for the event and was the solo piper for The Flowers of the Forest.